In case anyone missed the memo, this is the playoffs. 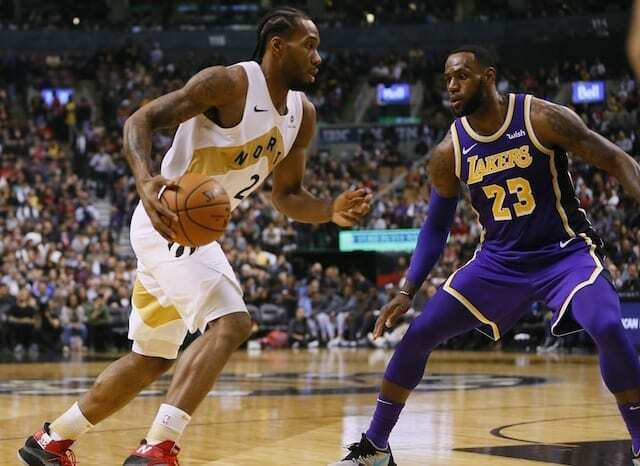 The Lakers are two-time defending champions going for a three-peat and an unprecedented fourth NBA Finals appearance in a row. By the way, that’s only been done by two teams – the Lakers and those dudes from that city where the Red Sox play. Steve Kerr even mentioned during the broadcast that getting to the Finals four years in a row is just something that isn’t supposed to happen. We’ve all been richly spoiled these last few seasons with superb postseason success that we often forget, there are fans in San Antonio still coping with an artery-buster of an exit in the first round at the hands of an eighth seed after regular season dominance. And don’t forget, that was the Dallas Mavericks in 2007. Do you remember what happened to them in 2006? Allow me to reboot your memory. The last NBA team to lose the first two games of a playoff series at home and come back to win it was also the same team that, only one year later, ended up LOSING a series they were leading 2-0. Which team was it, you ask? The Dallas Mavericks, and they should know better than anyone that this thing is far from over.